Yves-François Blanchet is the new leader of the Bloc, but the challenges he faces are not new for the beleaguered sovereignist party. 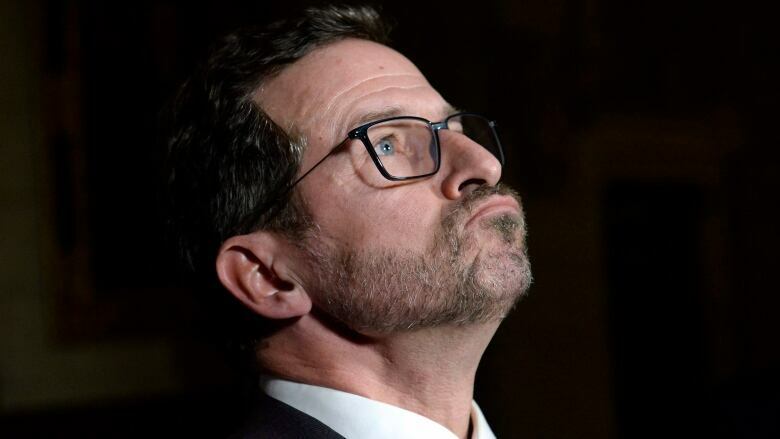 The Bloc Québécois has a new leader, but Yves-François Blanchet will face the same problems that have plagued the Bloc ever since its disastrous 2011 campaign relegated it to the fringes of Quebec federal politics. You're forgiven if you can't recall the name of the person Blanchet replaced as leader of the Bloc. Since that 2011 defeat, the leadership of the party has been a revolving door, as Gilles Duceppe returned in 2015 and Mario Beaulieu has held the position on two non-consecutive occasions. Blanchet was acclaimed as the latest leader of the Bloc on Wednesday after no one else met the party's conditions for standing as a candidate. The vacancy followed the resignation of Martine Ouellet last spring, after her abrasive leadership style split the sovereignist party. Blanchet didn't win the job by default — his candidacy was welcomed and encouraged by the Bloc's reunited caucus. A former cabinet minister and TV pundit, he brings a higher profile as well as his communication skills and media savvy to a party in desperate need of a boost. Blanchet takes over a party that has yet to recover from Ouellet's tenure. The Bloc stands at 14.5 per cent support in Quebec according to the CBC's Poll Tracker, an aggregation of all publicly available polling data. That puts the party down nearly five points from its 2015 election result. The Bloc has polled between 13 and 16 per cent since October, and hasn't topped 18 per cent in the Poll Tracker since the end of 2017. The party stands in a near-tie for third place with the New Democrats in the province. The Conservatives are narrowly ahead with 18 per cent, while the Liberals tower over their opposition with 42.7 per cent support. According to the Poll Tracker, the Liberals are favoured in 63 seats due to their wide lead over their rivals, while the Conservatives' concentration of support in some regions of the province puts them in a position to be favoured in 14 seats. The Bloc is favoured in no seats, though it is in contention in as many as 10 — its current standing in the House of Commons. Outgoing interim leader Beaulieu has said the Bloc's minimum objective in October's federal election would be to obtain official party status, which requires 12 seats. Blanchet recently told Le Nouvelliste newspaper that he thinks the chances of the party winning at least 20 seats are good. That will require a shift in voting intentions, but not necessarily an enormous one. According to the Poll Tracker projection model, the Bloc would be favoured to win at least a dozen seats with a gain of seven points in the polls, drawn equally from the Liberals, NDP and Conservatives. That would mean scoring around 21 to 22 per cent — still worse than the party's 2011 performance. To have a good chance of more than 20 seats, however, the Bloc would need to gain around 10 points. There are few indications that the party is on the cusp of any such surge. Still, it is something the Liberals need to worry about. The party is counting on significant seat gains in Quebec to offset losses in other regions of the country — it is no coincidence the Liberals are holding their cabinet retreat in Sherbrooke, Que., this week. If the Bloc is able to win enough seats to give it official party status, these wins will likely come at the expense of the NDP in places the Liberals are banking on for re-election in October. But how realistic is it that Blanchet could help push the Bloc back into relevance? Blanchet's pitch to voters — putting a priority on Quebec's interests and environmentalism, in addition to sovereignty — might have broader appeal than the sole focus on independence that Ouellet was pushing. On environmental issues, the province routinely polls apart from the rest of the country. In a recent Angus Reid Institute survey, Quebec was the only province in which "the lack of new oil pipeline capacity" was not seen as a crisis, more respondents opposed both the Trans Mountain pipeline expansion and the Energy East pipeline and a plurality felt that the federal government is "pushing too hard to build more pipeline capacity." With a credible spokesperson on environmentalism as its leader — Blanchet was an environment minister — the Bloc could make some inroads. But the recent provincial election in Quebec points to the challenges Blanchet faces. The Parti Québécois was handed its worst result in its history, scoring just 17 per cent of the vote. Québec Solidaire, another sovereignist party, managed 16 per cent support, but the party's voter base is motivated more by left-wing politics than by independence. While combining the support of the PQ and QS would be electorally advantageous for Blanchet, the arithmetic is not as simple as it looks. QS won most of its seats in areas that supported the New Democrats in the last two federal elections, while few of the PQ's holdings overlap with those of the Bloc. The Bloc's best chances instead appear to be in the suburbs around Montreal, where most of its current seats are located and where it is polling strongest. Blanchet is aware of the Bloc's regional limitations — he has already ruled out running in the riding of Saint-Maurice–Champlain where he lives and which is represented by Liberal cabinet minister François- Philippe Champagne. He says he will probably instead run in the Montérégie region south of Montreal. The obstacles Blanchet faces are significant — poor fundraising, a membership base split between two warring provincial parties and voters' lack of interest in the Bloc's raison-d'être. The Liberals and Conservatives will also be targeting their efforts and resources in Quebec, competition that the Bloc is ill-equipped to counter. 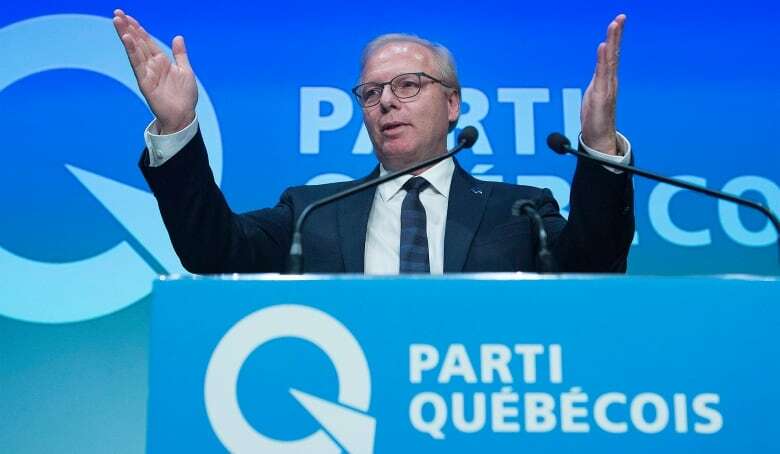 But if Quebec is going to be one of the key battlegrounds of the 2019 federal election, then Blanchet's impact on the Bloc's fortunes will play a significant role in that fight. Keep an eye on him.